Movie buffs might fancy a trip down memory lane to revisit stars of the golden-age and rekindle their pleasure in watching the movies of yesteryears. A household name in film production, Warner Brothers, is now offering its loyal fan base and supporters the opportunity to own films produced by the company since 1920s right up to 1980s via an online service called “The Warner Archive”. 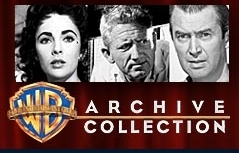 Warner Brothers will reproduce a selection of rare classic films and TV series into DVD for the first time and allow movie fans to purchase them online via its Warner Archive online-order program. Users can book golden favorites including Abe Lincoln in Illinois, Edison the Man, Drums of Africa, I was a Communist for FBI, We Were Dancing etc starred by legendary stars such as Jean Harlow, Joan Crawford, Clark Gable, and so on. Of course there is no limit to the selection of classic movies produced in the early 20th century but some more recent movies (e.g. Wisdom starring Demi Moore) are also available. Movie enthusiasts who are keen on these titles, however, will not get these DVDs from Wal-Mart or any CD store. Warner Brothers will offer the sale of these movies via the online service only. Movie enthusiasts can purchase these collectible classic movies online at $19.95 per title. Warner Brothers will then manufacture on an on-demand basis and deliver to purchasers within a week. Currently there are more than 150 titles available from the Warner Achieve. Warner Brothers has promised more titles will be added to these. There have been more than 6,800 movies produced by this production company but less than 20 percent of these are released on DVD. Hence, users can look forward to more goodies on this site.